Here’s how you can stay signed into Twitter for the Web even if you close the browser and return later on. Basically, it’s a tutorial on how to enable the ‘Remember me’ option. So there you are, turned on your computer, launched the browser, signed into Twitter, checked all your tweets, closed the browser and then when you launch the browser again, you’re signed out and have to enter your username and password again. What gives? 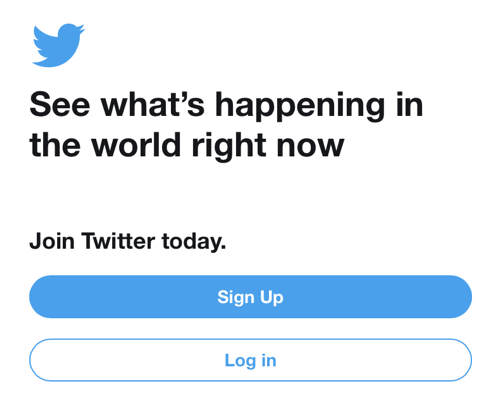 Well, the thing is: if you log in from the main landing page on the Twitter’s website (which is twitter.com), you just have to enter your username and password and click on Log in, right? But you don’t see a ‘Remember me’ button there, obviously. That’s the problem, and also the cause of the poor user experience, in my opinion. In today’s tutorial we’ll show you how you can stay signed in once you enter your username and password. 1. Open twitter.com in your Web browser on your desktop. 2. Click on Log in under the Sign up option as shown in the screenshot below. 3. Enter your username, password, click on the Remember me option, then hit Log in. 4. That’s it, even if you close the browser, you will remain signed in on your computer. 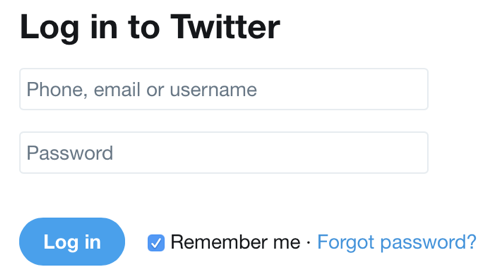 While I do stick with my words that not putting the Remember me option on the main page is a huge fail when it comes to user experience, it can be a lifesaver at times too. How? Well, imagine you sign into your account using a public computer and just happen to forget to sign out. All you did was close the browser window and walk away. In that case, you can rest assured that you might not end up being busted by the hands of an ill-intentioned individual.